Well, we have surfed 4 contests so far for our 2014 season! It is our intention to surf the remaining scheduled events, conditions permitting. For those of you who took advantage of our “Double Point” contest 4, you may find you’re in a great position in the season rankings. 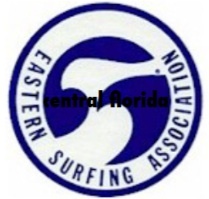 Keep in mind, in keeping with our ESA rule, whenever we surf at least 4 events during our season, we always deduct the surfer’s low score. Example – If a surfer won 3 events but missed 1 the year-end ranking will be calculated like (1000+1000+1000+0) or (3000-0) for a total of 3000 points as compared to say another surfer who surfed all 4 events and, for example, placed (3rd,3rd,2nd,4th) (points are totaled 810+810+900+729) = 3249, Then the the low score is dropped (3249-729=2520) – So, you can see how coming into the final event, Surfer 2 was leading the points ranking, but after the “low score drop”, surfer 1 is now in the lead. This was put into effect many years ago in an attempt to truly find the consistent winners. Let’s face it, even the best surfers have “bad” days. Or, maybe a surfer was ill and had to miss an event. The low event drop is a great way to show your best events. Keep this in mind, even if you haven’t missed any events. If you do better in the upcoming events, you get to drop your contest from the year-end total. Who will be our 2014 Division Season Champs? Have a look at the current standing here. Don’t forget to register for our December contest and thanks to all of our surfers and friends for making this a great season so far!